Trainer Jeremy Cioara covers basic networking topics including network components, configuring and managing Cisco devices, troubleshooting, security, and more while preparing learners for Cisco's CCENT ICND1 100-105 v3.0 certification exam. August 20, 2016 is the last day for this exam. 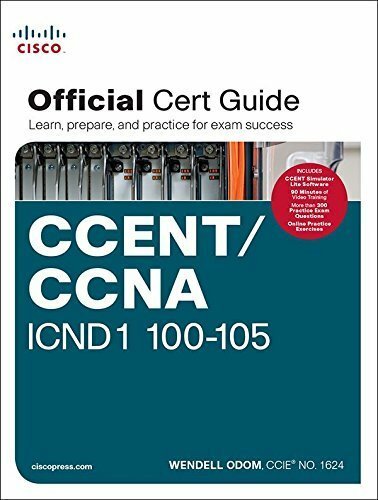 Those looking to complete the Cisco Certified Entry Networking Technician (CCENT) certification will find in this course an overview of the process in achieving the certification and details about the exam required to pass in order to receive it. The CCENT involves networking fundamentals, basic security, wireless concepts and other topics and is designed for entry level IT professionals getting ready for help desk and support type positions. Some of the exam objectives include Operation of IP Data Networks, LAN Switching Technologies, IP Addressing, Network Device Security, troubleshooting and others which provide good foundational knowledge for achieving further related certifications.